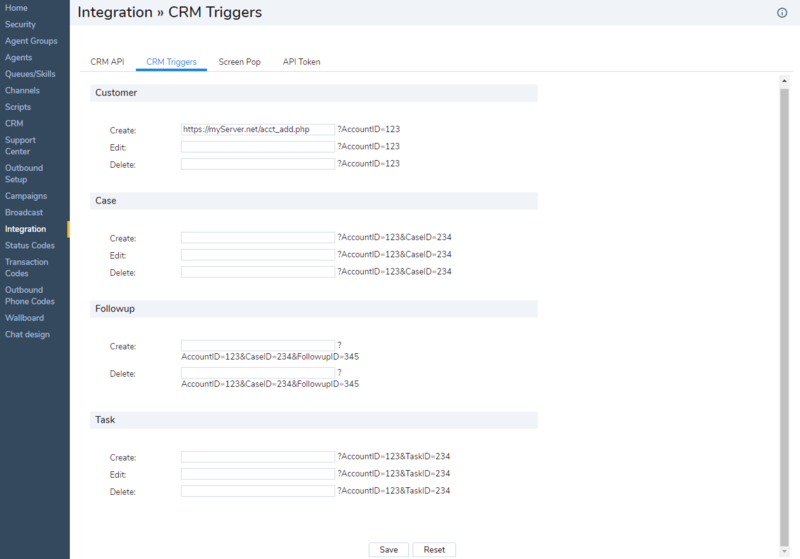 The following example illustrates the use of the CRM Trigger tab. Figure 133 illustrates a trigger specification. Example 1 shows a PHP script invoked by the trigger illustrated in Figure 133. The script reads the account ID referenced by an agent interaction and writes the account ID to a file named myfile.txt .